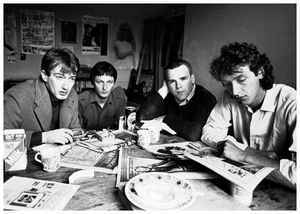 Gang of Four are an English post-punk group from Leeds. This song is the second track on the band's 1979 debut record, Entertainment! That album is considered one of the first post-punk albums and it went on to sell over 100,000 copies in the UK. The track featured here explores the ways in which capitalism affects all aspects of life, including one's experience of leisure.